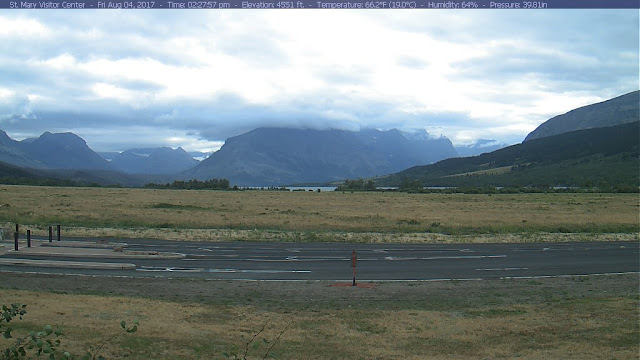 Here'a the address for the Web cam at the Saint Mary Visitor Center. It'a located about a half mile from our camp and look's at the same view we see from camp. Scroll down to near the end of the webcam list. The photo is 2:27 PM, Friday.